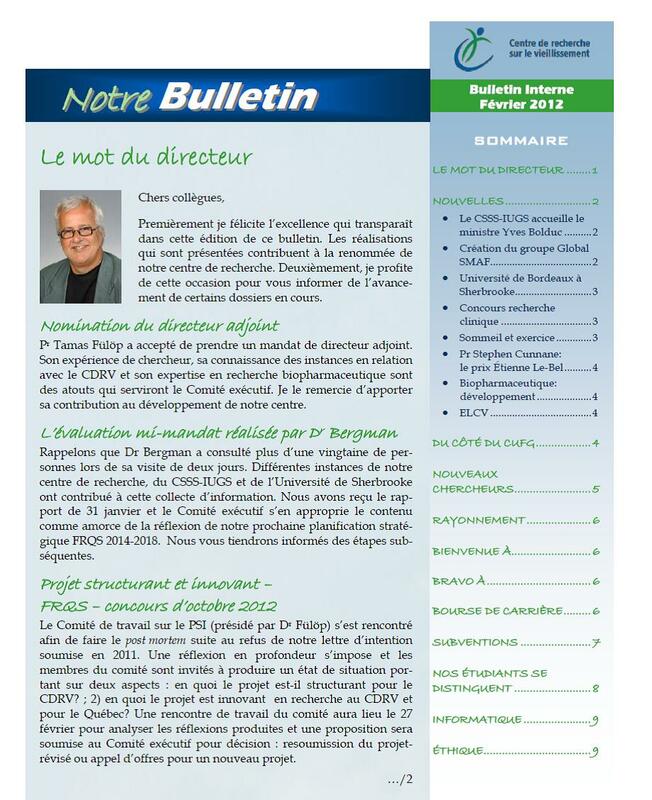 The Bulletins provide the latest news at the CDRV from December 2007 to July 2013 (french only). Other tools are used to keep you up to date on the latest at the Research Centre on Aging. To find out more, visit our Current Events and News Releases section.